Happy Black Friday! After way too much turkey and dressing, cooking and washing dishes, it's finally time to do some serious Christmas Shopping! 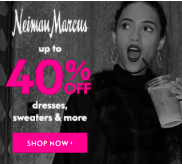 There are so many great sales going on today and here are some of my favorite things to get you started with ideas! I hope everyone had a wonderful Thanksgiving! 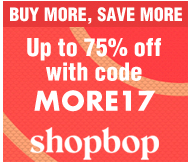 Click HERE to shop the Shopbop sale! I have a house full of family and I'm having the most wonderful time with all of them, but it's slowing down the blogging! I'm working on my favorite cookbooks and I have some fun fashion posts coming! Thanks so much for reading today!